If you are one of the over 65 million Americans who are caring for an elderly or disabled loved one, you may be spending 20 hours per week, or more, assisting your loved one. While many family caregivers start out lending a helping hand from time to time, it often increases to the levels of a part-time, or even full-time, job. If you have gotten to the point where you are juggling a career, family time, and social obligations along with caring for a loved one, it is easy to become physically and emotionally exhausted. This is known as caregiver burnout. Visiting Angels® Clearwater FL is an experienced provider of companion care referrals to help you avoid burnout. As the primary caregiver for an elderly, disabled, or chronically ill loved one, it is easy to become so focused on your loved one that you forget to take care of yourself. It is important to your well-being, and ultimately that of your loved one, that you are able to keep sight of your own needs as well. Don't forget about your physical needs. Eating nutritious meals, light exercise, and getting plenty of rest can help caregivers avoid exhaustion. Practice relaxation. Deep breathing, yoga, going for walks, getting a massage, or journaling, can all help you reset and clear your mind. Take time for yourself. Going to a movie, getting a haircut, or having dinner with friends allows you to relax and recharge. Don't be afraid to ask for help. Allowing someone else to lend a hand gives you a break and can benefit both you and your loved one. Find a support group. There may be local groups in your area that can offer support and camaraderie for family caregivers. One of the ways you can find time for yourself is to enlist the help of a professional caregiver. 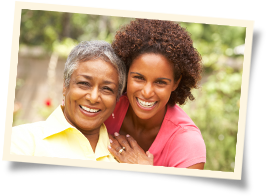 Visiting Angels Clearwater can provide a companion care referral for a compassionate caregiver from our nurse registry. A professional caregiver can look after your loved one and give you time to yourself for a few hours a day, one day per week, or more. If you are the primary caregiver for a loved one, call Visiting Angels Clearwater today and ask about a companion care referral. Alzheimer's Care in Clearwater: When is it Time? What to Look for in a Clearwater At Home Care Agency?